Florentine by birth, Elena Stancanelli lives in Rome where she writes for a Max, Cosmopolitan, and Marie Claire and for national newspapers such as Il secolo XIX, Corriere della Sera, La Repubblica, and l'Unità. In 1998 she published Benzina with Einaudi and in 2001 Le attrici , also with Einaudi. 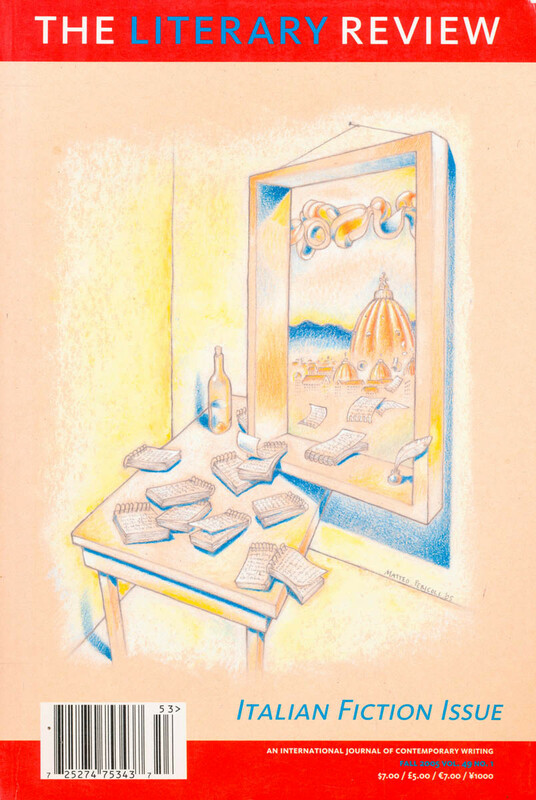 The Literary Review is an American literary magazine founded in 1957 and published by Fairleigh Dickinson University in Madison, New Jersey. The Literary Review prides itself on publishing English translations of contemporary fiction from various countries around the world, often dedicating an entire issue to a single language. Since its inception, The Literary Review has published the work of 22 Nobel Laureates.